An important aspect of life that’s difficult to master is being organized. Though it takes a bit of effort, being organized helps so many facets of your life; personally and professionally. For example, have you ever been around someone when they misplaced their keys? It’s stressful and can be frustrating. To avoid that situation, and others like it, take a moment to read a few tips on how to be more organized. It’s a life long skill you’ll be happy to have. Professionally, you’re not worrying about keys — it’s hitting deadlines, remembering who to follow up with, or crossing off hot items once they’re done. To make sure you hit your deadlines and everything else at work, the easy way to become more organized is with a Day-Timer. Now, the key to success is that you need to use it! Start by writing down your goals, schedule, deadlines, key tasks and even milestones. Write the things that pop up in the middle of the day including new deadlines and meetings. Visually seeing what you have in your Day-Timer will help you be more aware of everything you’re juggling and will help you better organize your day. And no matter if you have a just a few items or a long list, we have a Day-Timer refill that will help keep you organized! 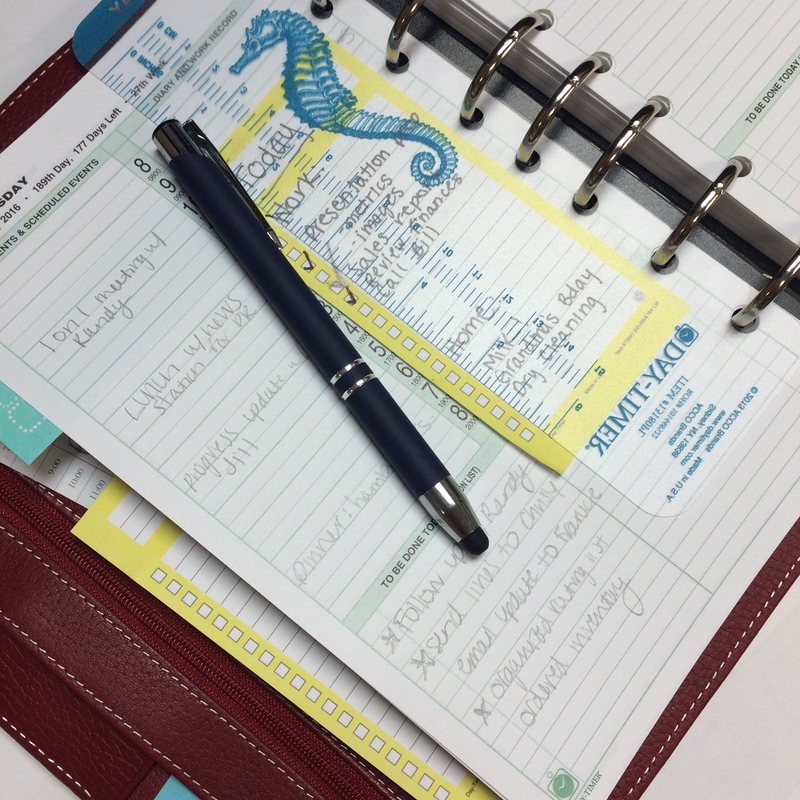 Another way to keep organized is to create a daily to-do list! Hot Lists and to-do lists work together perfectly! Then you can easily add and cross of your to-dos in your Day-Timer! While a Day-Timer helps you stay mentally organized, for physically being organized there are plenty of tips to follow! First, set time each day to tidy up. Dedicating time for the little things can make a difference and help you feel more organized. Create a routine for the beginning of each morning; check your to-do list, clear your email, run reports and get to tackling new projects. Apply a routine each morning, make your bed. It takes a minute to pull up the covers each morning, so when you come home in the evening it’s relaxing to see a fresh bed to rest on. Even taking an extra minute to put the dishes in the dishwasher will keep your home cleaner and more organized and prevent stress later on. If you start to lose your motivation to stay organized, get inspired by looking at gorgeous, clutter free, and organized spaces online. They should help you get back into your routine! Put it all together and you and your life will start to be organized soon! A planner to keep your mind organized and steps to keep your home and office organized will give you more time to do what you love and enjoy. You need to be organized in order to manage your time better. Day-Timer products help a lot a lot for that. I prefer to manage my time with your Planners guys! I have become dependent on my iCal for organization and scheduling. It has never failed me. However, I miss utilizing the look and feel of a Daytimer planner. I got my first planner for Christmas when I was 17 years old. I have recently ordered a new planner from you, and am struggling to figure out how to meld the two mediums. I would like to see pointers and videos on how others are continuing to use the wonderful 21st century technologies we have at our disposal to stay organized, while integration a physical planner. I am specifically struggling with the premise of having to keep two calendars. The one I have grown accustomed to that will just beep at me to remind me of everything. I admit I have become lazy and dependent on my iPhone. But I cannot give this system up entirely. I need to find a comfortable and convenient balance to maintain my efficient habits while allowing me to use a Daytimer again. This should be the primary focus of everyone on this page!! Please help!